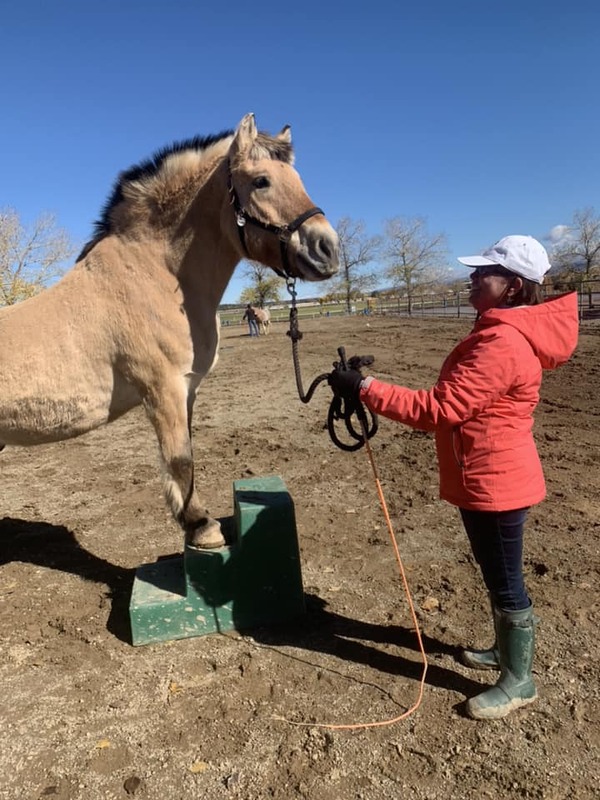 Our Fjord Horse, Yoda, has been sponsored for 2019! Yoda is a 15 year-old Norwegian Fjord gelding. He came from a Fjord breeding farm and has had an easy going life prior to his new job as a therapy horse. He is our “class clown” always looking for ways to make us laugh. Being that he is a big clunky boy, he enjoys to go slow and take his time. He loves to show off his monthly new haircut and all his tricks he can do! Thank you Shelley P. for sponsoring Yoda for the next year!